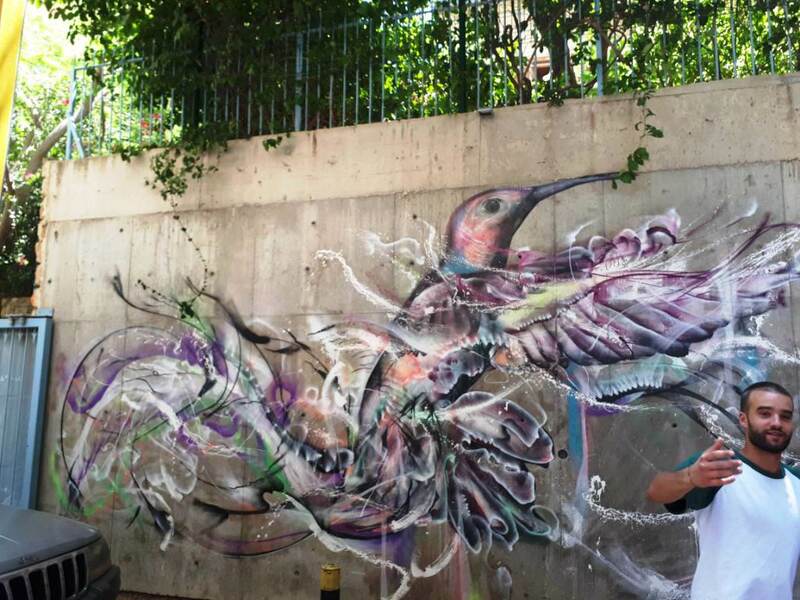 I WAS getting to know more and more of the guests at Beirut’s Meshmosh Hotel. There was a woman from London named Sarah, whose daughter was doing an internship with an LGBT organisation. I also got to know some more Americans: a mother and son named Marsha and Alex. I got to find out more about the lives of the staff, too. One was a Maronite and her boyfriend was Shi’ite. Her father would not accept her boyfriend. if a Shi’ite moved in next door her father would kill them. I think he was in a militia. So, they were both seeking a better life in Europe and did not want to raise children in Lebanon. She was disillusioned with Lebanese politics and said after the recent elections nothing had changed. The same parties were in control. 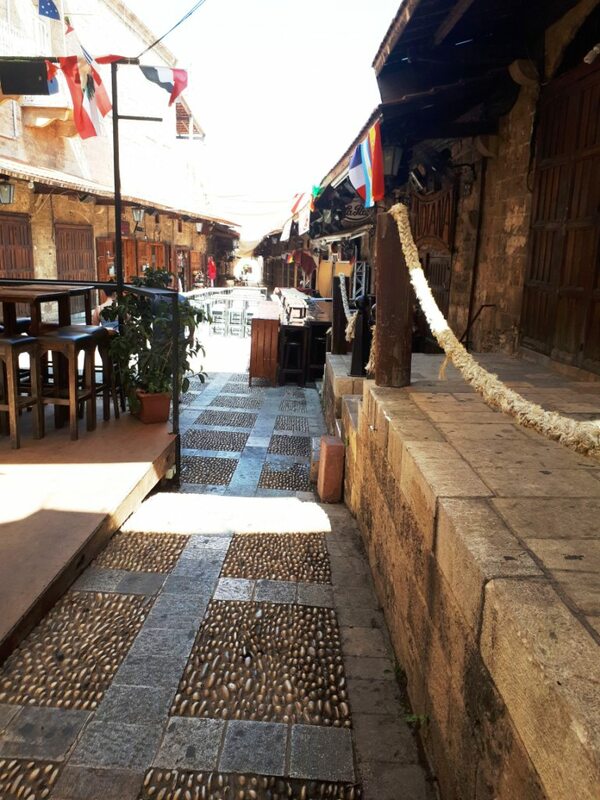 Anyhow, even if Lebanese parliamentary politics seems moribund at the moment, here are some vital and vigorous scenes of Beirut street graffiti and old streets in Byblos: images of the real Lebanon. Anyhow Sarah and I decided to do another tour, with Marsha and Alex and a driver named Phillip. 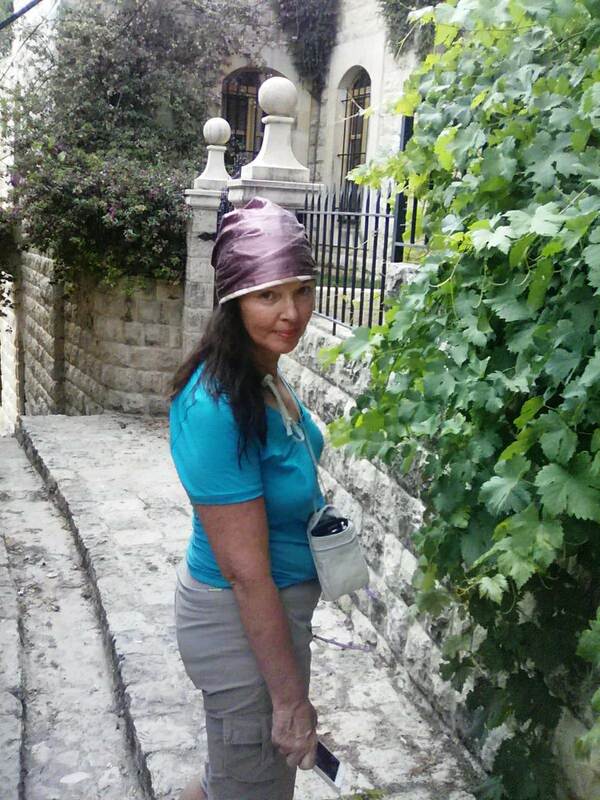 And so, we got to see some mountains called the Chouf, and an old Ottoman palace which was now the summer residence of the President of Lebanon, at a place called Beiteddine. 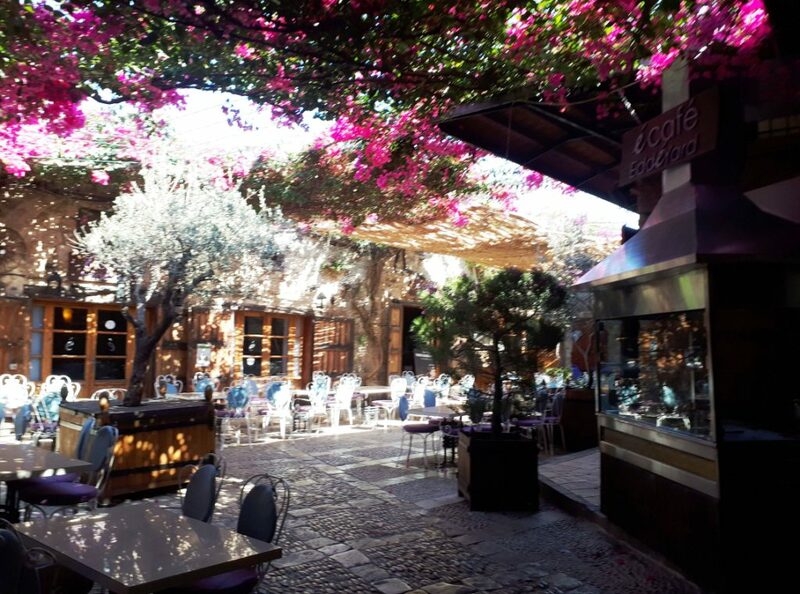 Palace courtyard at Beiteddine. Photo by ‘Peripitus’, CC-BY-SA 3.0, Wikimedia Commons. 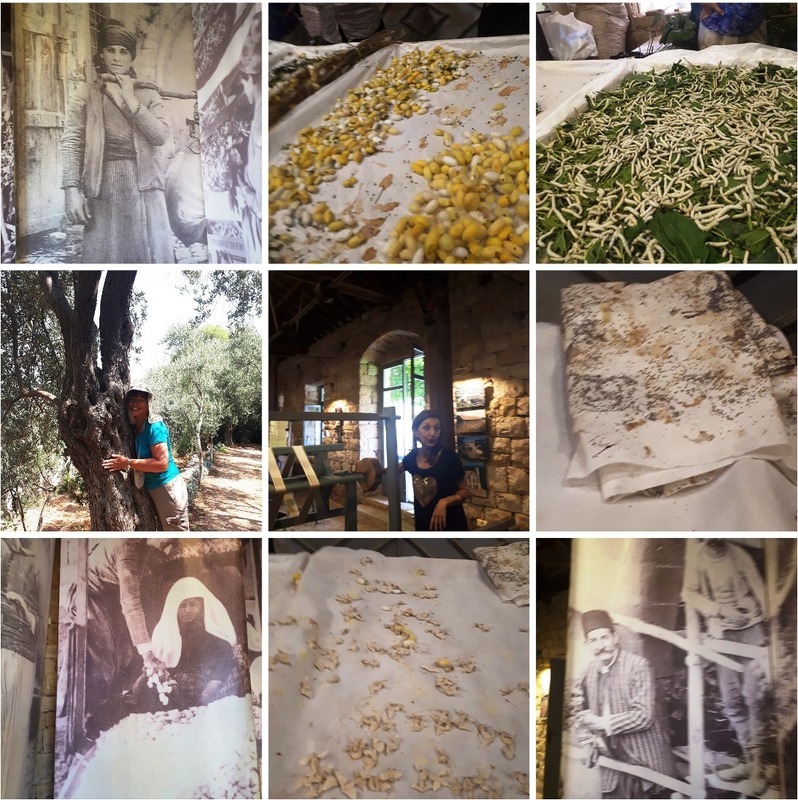 We visited the Silk Museum at Bsous, in the hills outside Beirut. This was another story, that’s for sure. Silkworms were taken from China via the Silk Road by agents of the Eastern Roman emperor Justinian the First (‘the Great’), who reigned in the 500s CE: the equivalent of stealing tech secrets today. I loved the museum: it was located in an old silk factory which had closed down. Unfortunately, after nearly 1,500 years, the Lebanese silk industry fizzled out in recent times. In what some people might take to be a truly colossal historical irony, it was the competition from China that finished it off! 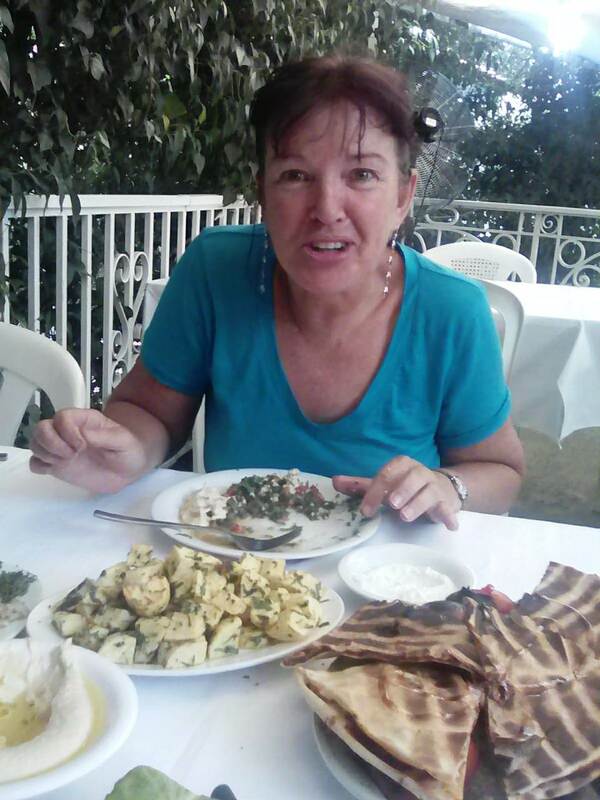 Marsha and Alex managed to persuade the driver to make a three-hour detour for no extra charge and drop them off in the Beqaa Valley, where they were doing volunteer work on an orchard. Phillip the taxi driver did a wonderful job. 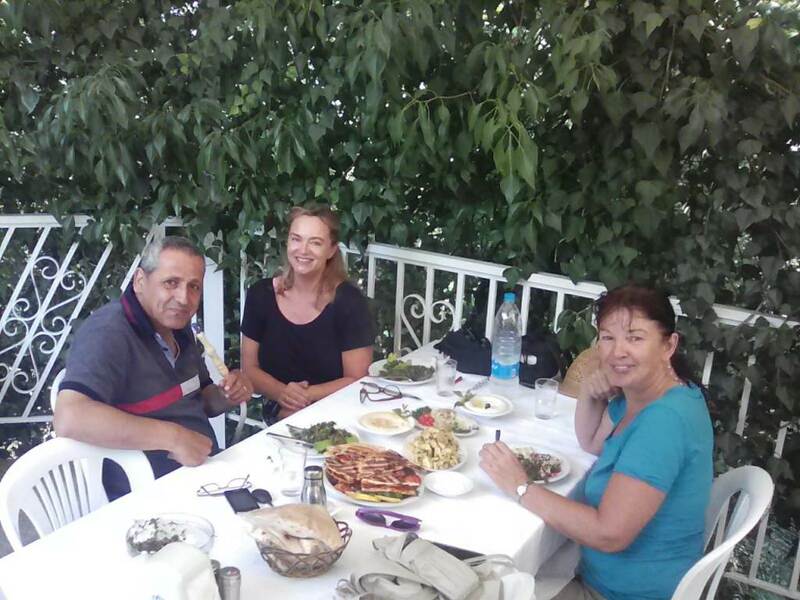 We stopped off for a well-earnt lunch in his home town of Deir El-Qamar (‘Monastery of the Moon’). This was another incredibly picturesque old place. The food was amazing, and included flat bread, tabbouleh (parsley salad), warak (grape leaves), two types of hummus, and barbecued meat. 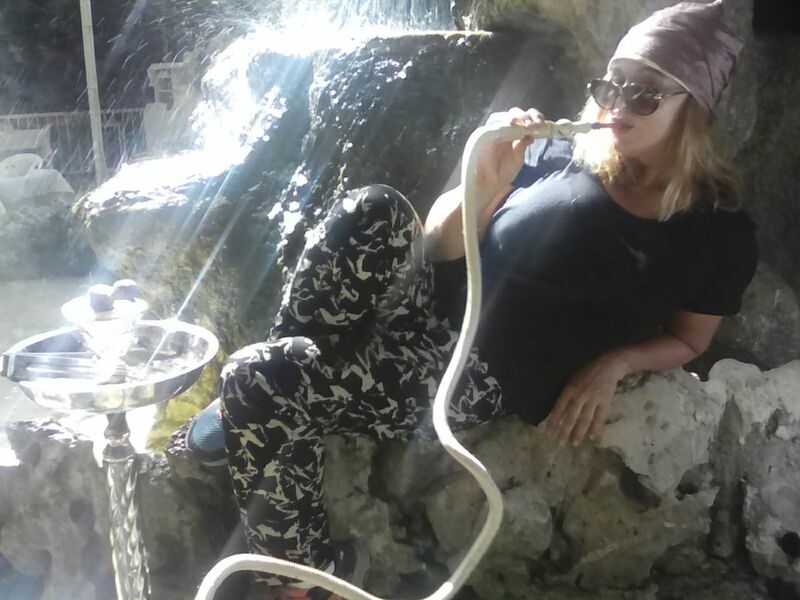 We tried the hubbly-bubbly pipe, known in the Indian subcontinent as the huqqa (‘hookah’), as the arghilah or argileh in the northern part of the Arab world and in the south as the shisha, plus a whole lot of other names elsewhere. It might be a bit of a Middle Eastern cliché, but we thought we’d give it a go. 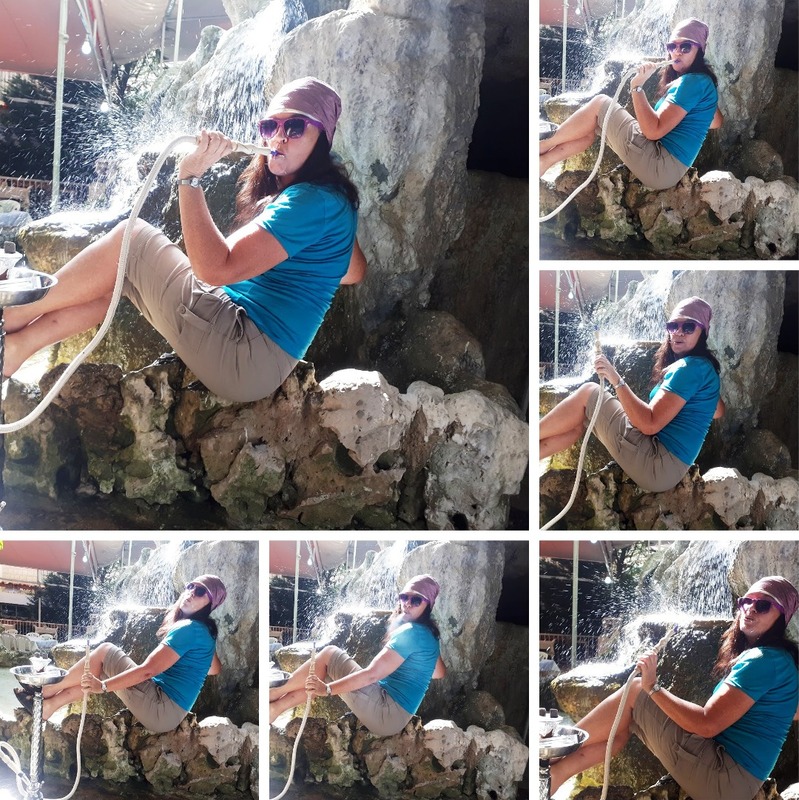 The last pair of pictures shows me hugging a carob tree as well. Carob, which tastes like chocolate but isn’t, is also more or less native to these parts. 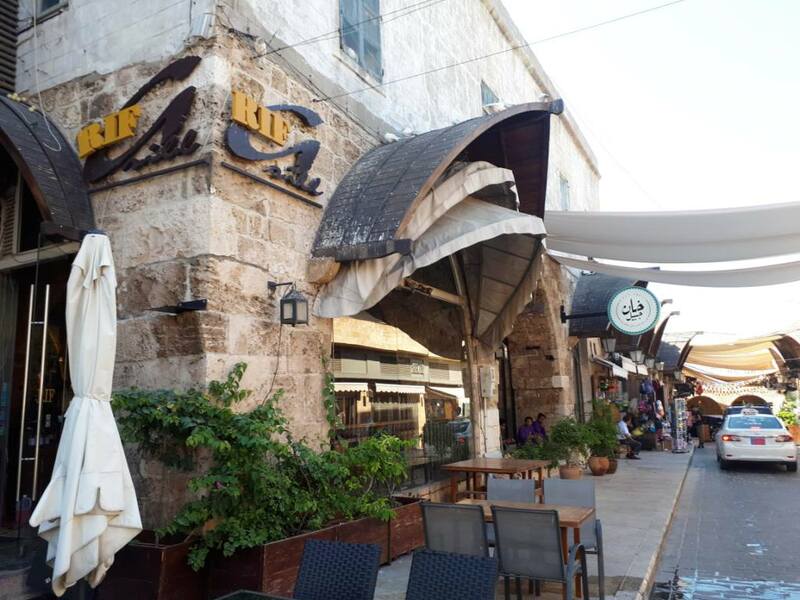 It put a damper on things when Phillip told us that the town had been massacred in the old days, with a thousand Christians killed by Druze militia. 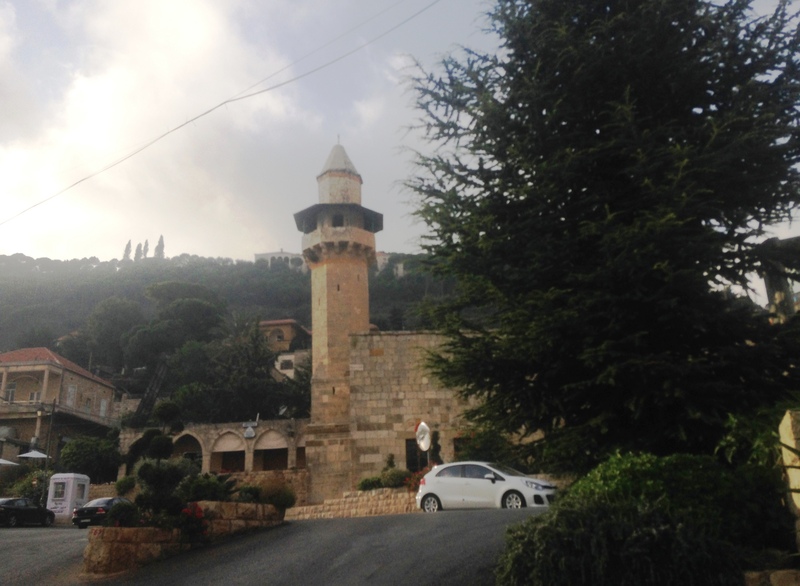 For, it turned out that there had been a civil war in Lebanon in 1860, which broke out in Deir El-Qamar. 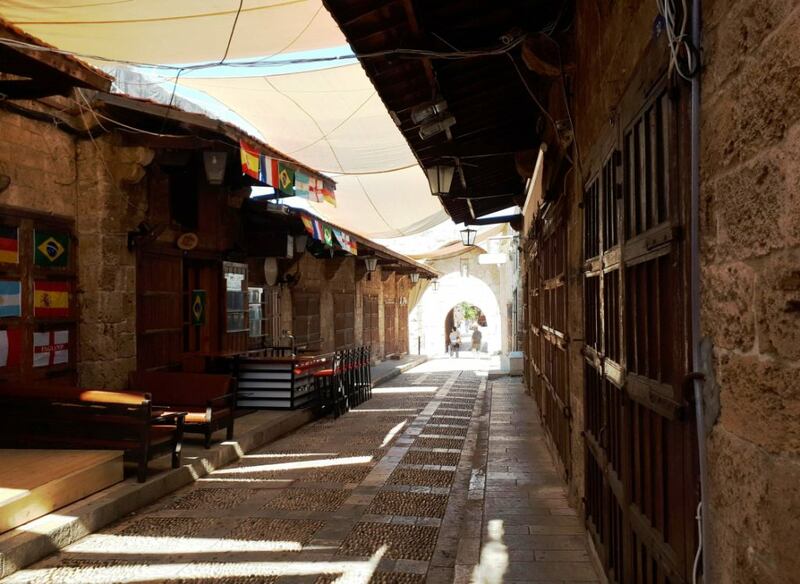 A dispute between two children, one Druze and one Maronite, is supposed to have escalated into a family dispute and then into communal strife that extended as far as Damascus. As the region spiralled into a chaos that the Ottoman regime could not swiftly contain, since it lacked ships and railways, France invoked a treaty signed in 1523 whereby the Ottoman Turks had recognised France as protectors of Christians in their Caliphate, in return for an ally in Western Christendom. Having activated the treaty, France launched a massive seaborne expedition to restore order in Lebanon and Syria. This was the beginning of a French colonial presence in Lebanon and Syria which was to last for nearly a hundred years in one form or another. Authorised by Napoleon III, the expedition revived the popularity of a march from the time of his more famous uncle, ‘Partant Pour la Syrie’; a tune that had actually been composed by his own mother, Hortense de Beauharnais, in support of the family business in 1807. That is to say, one year before Napoleon III was born. In 1860, the fifty-two year-old ruler may have enjoyed being illuminated by the light of other days, even if sending a relief expedition to Beirut wasn’t exactly the same as Waterloo or even Napoleon I’s invasion of the Nile. The British weren’t happy about France’s expanding Middle Eastern influence as protectors of Christians, and largely took the side of the Druze. Phillip said that the British had let the massacre happen. In the aftermath of the events of 1860 the British, for their part, would gradually move into Egypt, Palestine (including the territory of modern Israel), Jordan and Iraq, as a counterweight to the French. 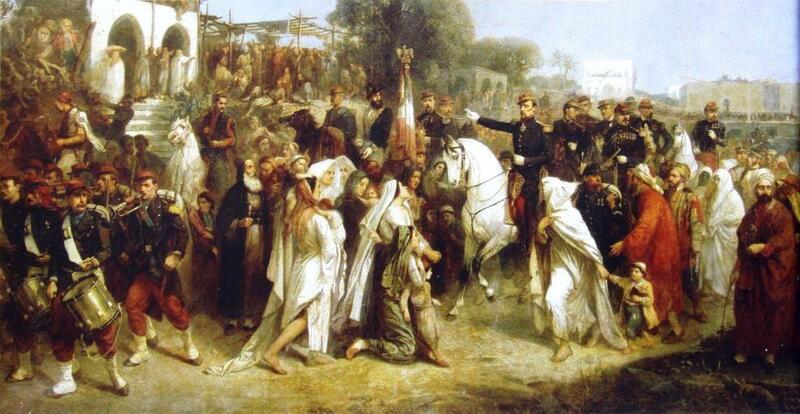 Nineteenth-century colonial regimes often began with such interventions: a limited and temporary invasions to protect local minorities or Western merchants from unrest. 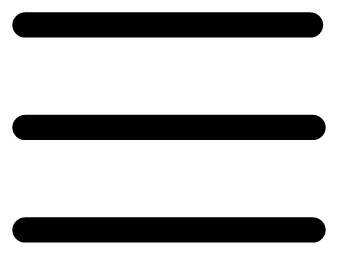 Once present in force, the Westerners would often end up taking over the country outright: supposedly for the good of its inhabitants, once more. There was no United Nations in those days, and as a result, there was nothing to stop humanitarianism from turning into imperialism rationalised by humanitarian motives. Today, imperialism has a bad name. But in the nineteenth century, Western imperialists mostly thought they were the good guys! Even socialists supported the project of empire in those days. And there was often an element of the local population that supported the colonisers as well. 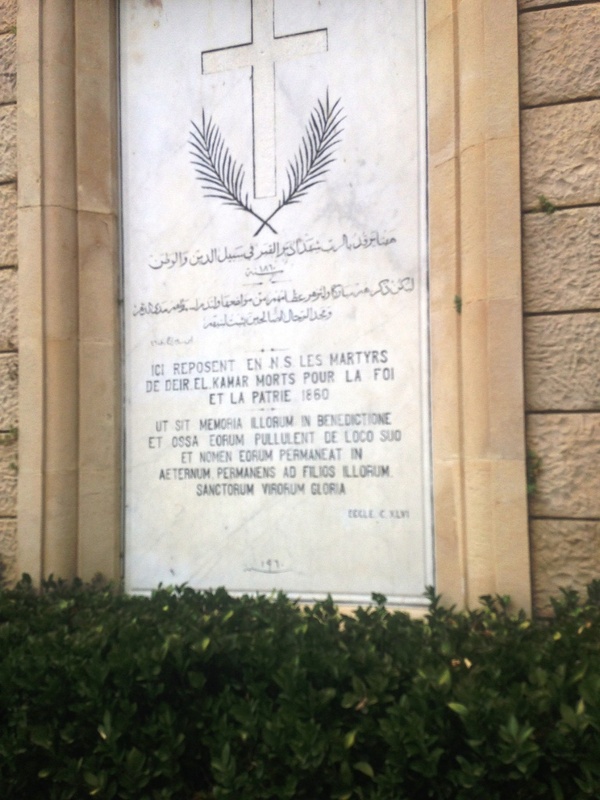 In Lebanon this was the Maronites, whom the French had come to rescue in 1860. ‍‘Morts pour la Foi et la Patrie 1860’. I’m not sure what country the word ‘Patrie’ refers to here, whether it was little Lebanon or the French colonial empire as a whole, and I suspect that in Maronite colonial Lebanon little distinction was made. There was also a contrary influence on the Western colonisers: a vogue for an ‘Orientalism’ that depicted a timeless land as yet untouched by modernity. Smoking the hookah personified this idea. 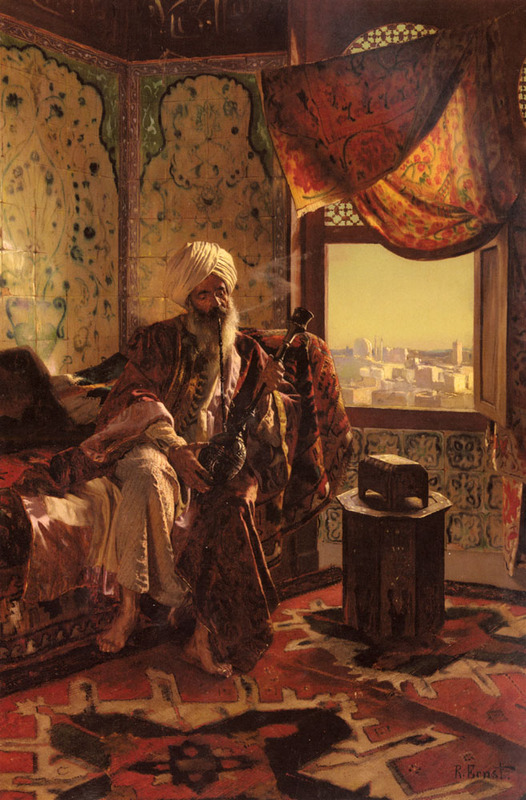 The Orientalist art of the nineteenth century could generally be read two ways. In one reading, it supported the idea that non-Europeans were stuck in a rut and in need of being colonised. In another, it supported a hippie-like condemnation of Western life, long before the hippies themselves started turning up in places like Marrakech. My name is Ozymandias, King of Kings/Look on my Works, ye Mighty, and despair!/Nothing beside remains. Round the decay/Of that colossal Wreck, boundless and bare/The lone and level sands stretch far away. 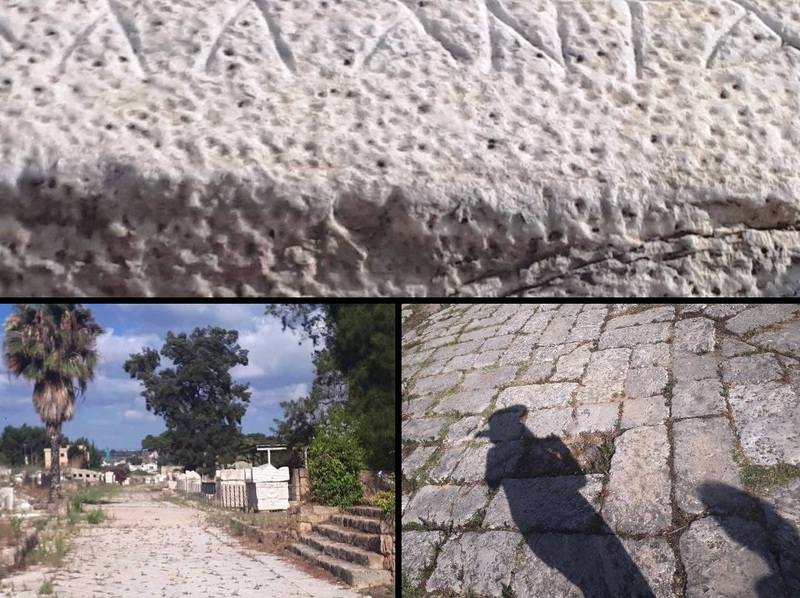 On my last day, I made sure to go to Qana, south-east of Tyre. This is a village which many in Lebanon believe to be the Biblical Cana, where Jesus is said to have turned the water into wine. The number of times I heard the miracle of the water and the wine in church was beyond me. So, I paid a bundle for a taxi to get there, and why not? 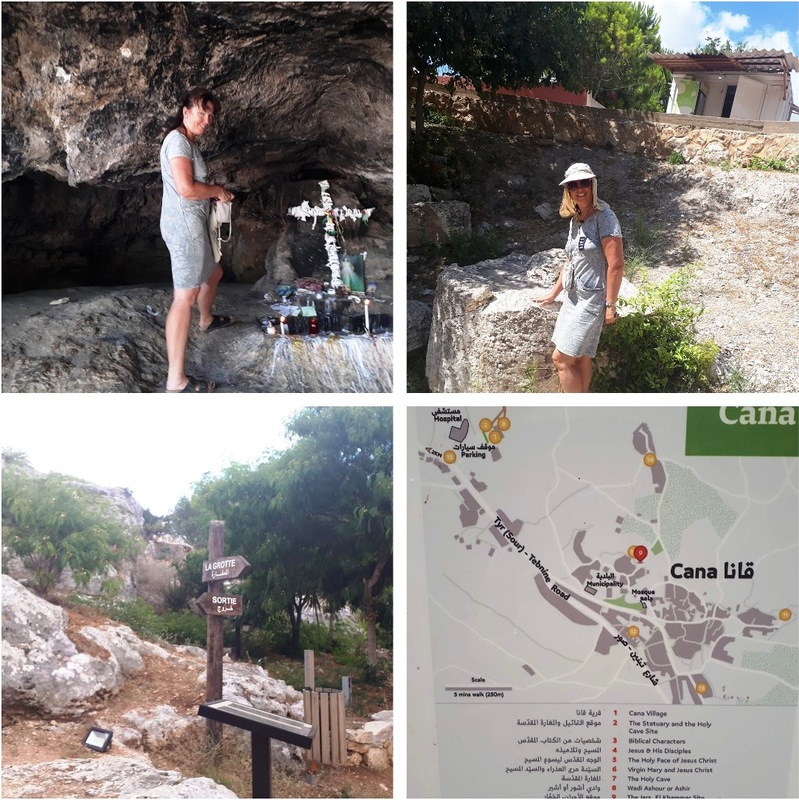 In a cave where Jesus is also said to have stayed for a week, I lit a candle and made a wish. At the same time, I revisited nearby Tyre, or Sur. 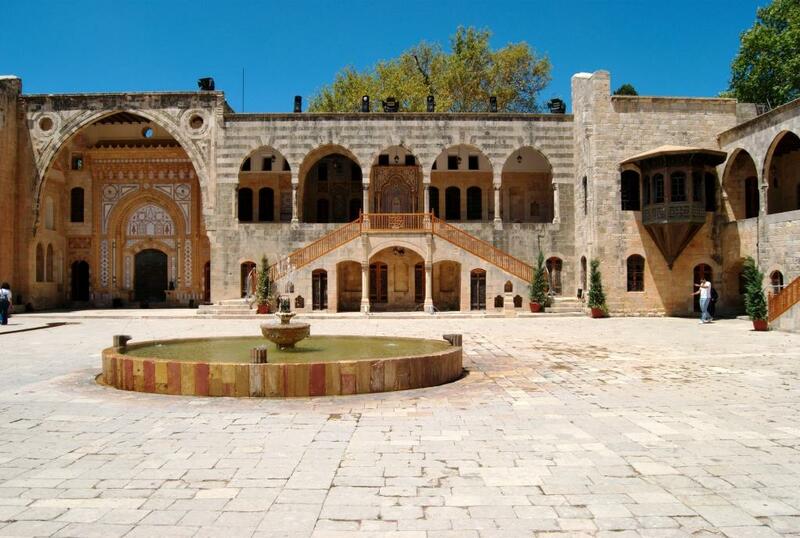 This city was once a Persian stronghold, captured by Alexander the Great in a famous siege. 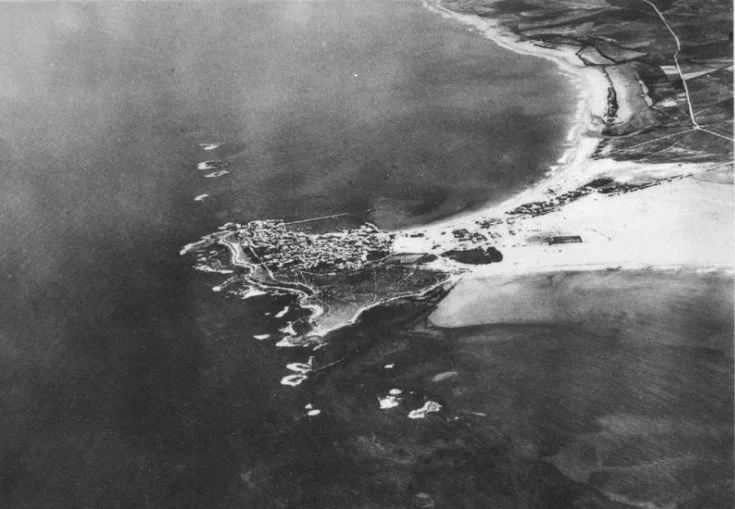 Back then, Tyre was a fortified island. Alexander built a mole or causeway out to the island to help capture it, and then over time the causeway led to a huge accumulation of sand, on which modern Tyre is built. A photo taken by the French air force before the sand got built on makes this very clear. No doubt, Alexander’s mole helped to nourish modern Tyre / Sur’s famous beaches as well. 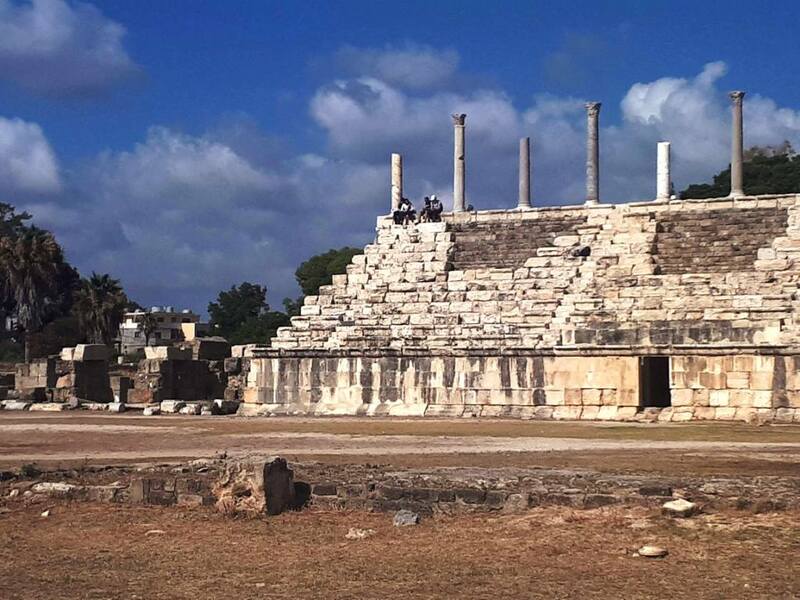 ‍The Hippodrome (horse racetrack) at Tyre, with stadium seating for thousands and pillars supporting a now-vanished overhead structure. The Hippodrome is right next to the Al-Bass Necropolis. 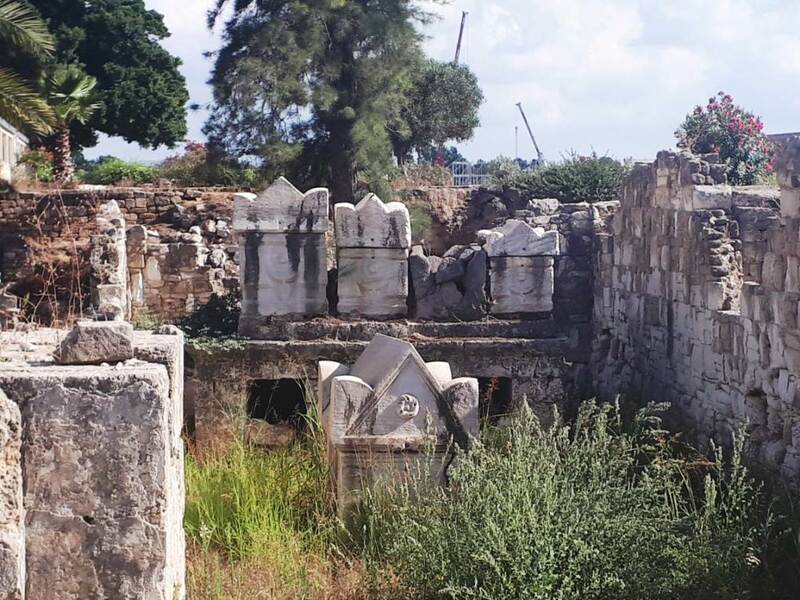 The Al-Bass Necropolis or ‘city of the dead’ at Tyre. Ancient Greek and Roman cemeteries were called necropoli or ‘cities of the dead’; most probably because they had had paved streets that ran between above-ground family tombs, giving them a town-like appearance. 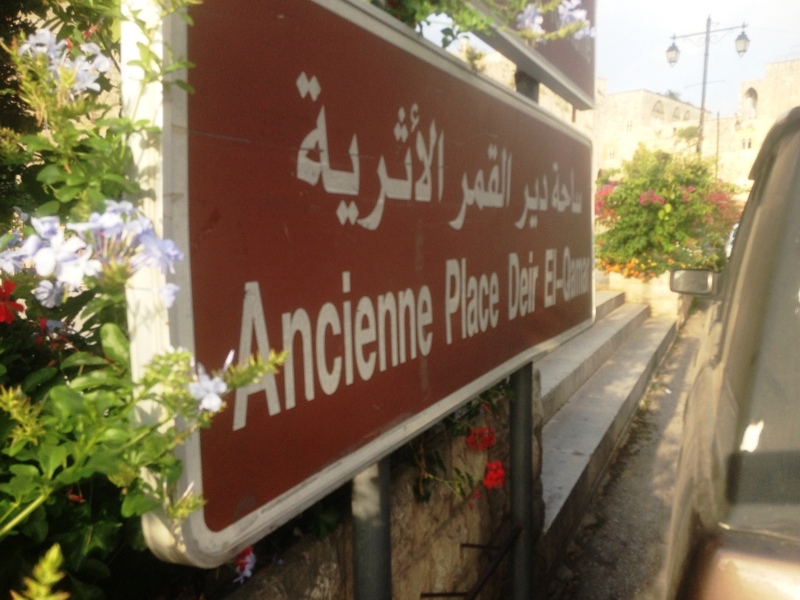 Here’s a video I filmed on my first visit to Tyre, when all these photos were taken as well. The scenes are partly of the Al-Bass Necropolis, though I refer to everything as the Hippodrome, as I was fairly new to the area then. ‘Look upon my works, ye mighty …’. Indeed. Still, it’s amazing to think of someone’s headstone surviving for two thousand years in a cemetery that’s still as it might have been at the height of the Roman Empire. That’s pretty gothic. This was part 3 of a three-part story. See Mary Jane’s website, a-maverick.com.